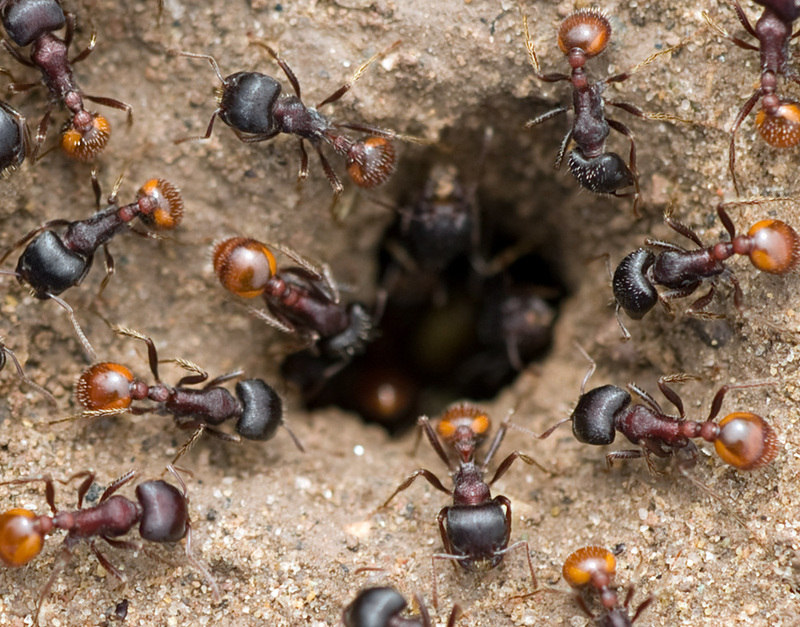 Фото "Ants at entrance to nest"
Familiar denizens of the Texas deserts. Ух какие замечательные. Боевые малыши. Классный снимок. Yes, these little ants can put up quite a fight! Andrey, thank you for taking the time to make a comment. Как инетересно их рассматривать! Хороший кадр! Agreed! I appreciate your visit to my photo and for your comment. That made me laugh, but you are correct. This would be a great illustration for his work. Do you think he'd hire me? Appreciate your comments. Thanks for viewing my photo. Thank you, Reda, for taking your time to view my photo. I appreciate that very much. Your time is valuable. But you took a bit of it to view my photo. Thank you, Wahid.